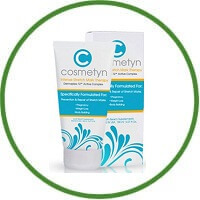 Cosmetyn has a reputation for being an effective way to remove age spots as well as stretch marks. Cosmetyn are very effective in improving the hydration of the skin, but there does not seem to be enough proof that this cream can truly eliminate stretch marks. Stretch marks can be considered a natural part of being human, not only for women but for men as well. While a lot of people still think that stretch marks are mainly caused by pregnancy, the fact is that this type of skin transformation can happen to anyone who has gained or lost significant weight. Women are always in search for ways to fade or eliminate stretch marks. Although not all stretch mark products are successful in restoring the smoothness and glow of the skin, a good quality stretch mark cream, just like how Cosmetyn describes itself, can definitely do the trick. Cosmetyn has a reputation for being an effective way to remove age spots as well as stretch marks. Although the manufacturers of this cream seem quite confident about the performance of this product, almost all tests done on Cosmetyn have not been satisfactory. 1. Phaseolus Lutanus Extract And Rutin: stimulate the production of elastin and collagen in the body. 3. 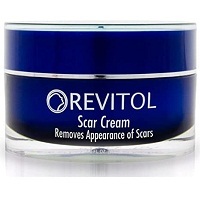 Natural Amino Acids: eliminate the fine lines and wrinkles on the skin while repairing old scars. Cosmetyn cannot be purchased in stores. If you are interested to try this cream, you will have to spend $90 to have it though online stores. This price is rather expensive in comparison to any other stretch mark creams. 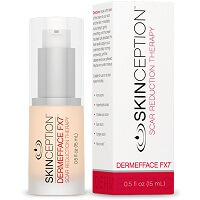 If you are looking for a skin product that will reduce your age spots, Cosmetyn may be helpful. The components of Cosmetyn are very effective in improving the hydration of the skin, but there does not seem to be enough proof that this cream can truly eliminate stretch marks.